At Chestnut Land Company, we take pride in the community we share with our valued customers and team members. We truly feel giving back to the community helps serve a bigger cause, helping those who need it most! 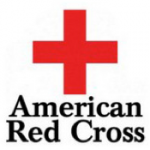 The American Red Cross exists to provide compassionate care to those in need. The network of generous donors, volunteers and employees shares a mission of preventing and relieving suffering, here at home and around the world. Started in 2006, over 26,800 Ohio volleyball players have participated in Volley for the Cure, donating over $1 million to local Susan G. Komen for the Cure® affiliates in the fight against breast cancer. GATI is a day in which members of the community are offered the opportunity to visit schools and share all about their careers with the students. This is such a special day that the students look forward to every year! A national system of volunteers, contributors, and local charities helping people in their own communities all around the world. 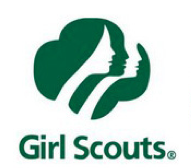 Founded in 1912, this organization seeks to provide healthful, character-building activities for young girls and women. 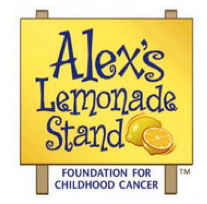 ALSF shares the vision of their founder and creator, Alexandra “Alex” Scott, a cure for all children with cancer. Founded in 1982, the PKD Foundation promotes programs of research, advocacy, education, support and awareness in order to discover treatments and a cure for Polycystic Kidney Disease and improve the lives of all it affects. Fishing Has No Boundaries Inc. Fishing Has No Boundaries®, Inc. (FHNB) is a non-profit 501-C3 organization whose goal is to open up the great outdoors for people with disabilities through the world of fishing. Susan G. Komen is a bold community fueling the best science and making the biggest impact in the fight against breast cancer. Since 1982, they have invested almost $2 billion to fulfill their promise, working to end breast cancer in the U.S. and throughout the world. Boys & Girls Clubs of America is a national organization of local chapters which provide after-school programs for young people. Boys & Girls Clubs are a safe place to learn and grow, all while having fun. It is the place where great futures are started each and every day.